Save up to 35% on all rentals with Avis in the US and Canada when you use your American Airlines Avis Worldwide Discount (AWD) number K817165. Use coupon number MUAA022 and your AAdvantage number to receive your miles. Terms & Conditions apply. 1000 and 3000 bonus miles are valid until December 31, 2010 February 15, 2011 on a qualifying rental at participating Avis airport locations in the United States and Canada. Offer of 1000 bonus miles is valid on daily and weekend rentals with a 1-2 day length of rental. Mention coupon MUAA022 to get this offer. Offer of 3000 bonus miles is valid on daily, weekly and weekend rentals with a 3 day minimum length of rental. Mention coupon MUAA022 to get this offer. Offer valid at participating Avis airport locations in the U.S. and Canada. Offer valid on all car groups. An advance reservation is required. Offer may not be used with any other coupon, promotion or offer except your AWD discount. The savings of up to 35% applies to the time and mileage charges only. Use AWD K817165 to receive this discount. Taxes, concession recovery fees, vehicle license recovery fee, customer facility charges ($10/contract in CA) and fuel charges are extra. Optional items such as LDW ($35.99/day or less) and other surcharges may apply and are extra. Car rental return restrictions may apply. Offer subject to change without notice. Holiday and other blackout periods may apply. 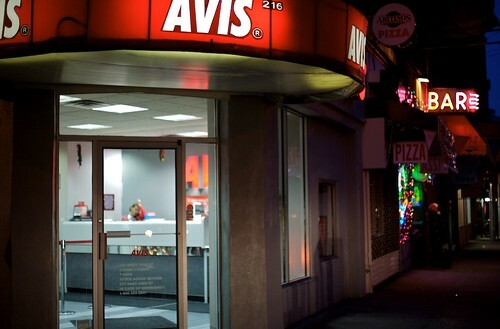 Renter must meet Avis age, driver and credit requirements. Minimum rental age may vary by location. An additional daily surcharge may apply for renters under 25 years old.